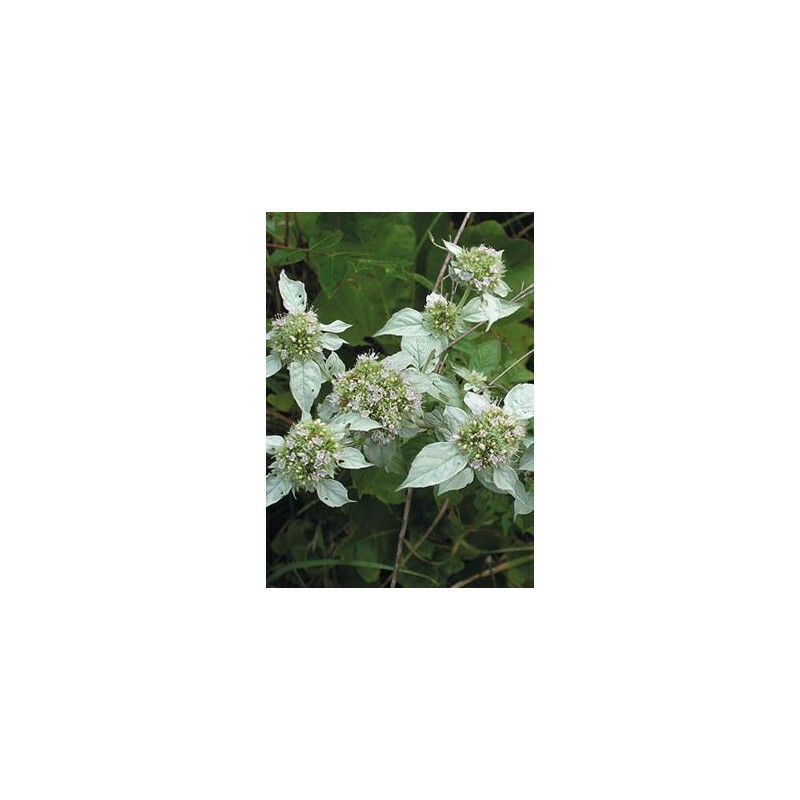 Hoary Mountain Mint is a 2' to 3' tall native perennial that is different from the other mountain mints by the fuzzy white appearance of the upper leaves and bracts. This is a summer flowering plant featuring multiple clusters of small two-lipped white flowers with lavender spots on the lower lip. 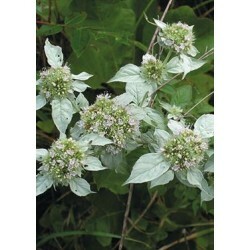 Hoary Mountain Mint is easy to establish and prefers dry to medium soils but will tolerate some moist soils. 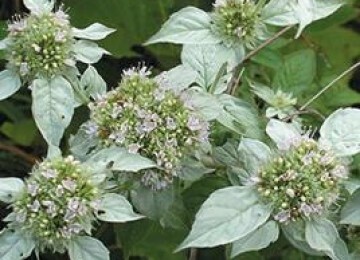 It grows well in full sun or part shade.A good garden plant for borders, native plant gardens, pollinator conservation plantings, and wildflower meadows. 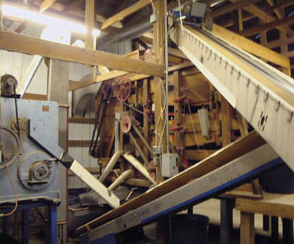 Native American medicinal use was extensive.